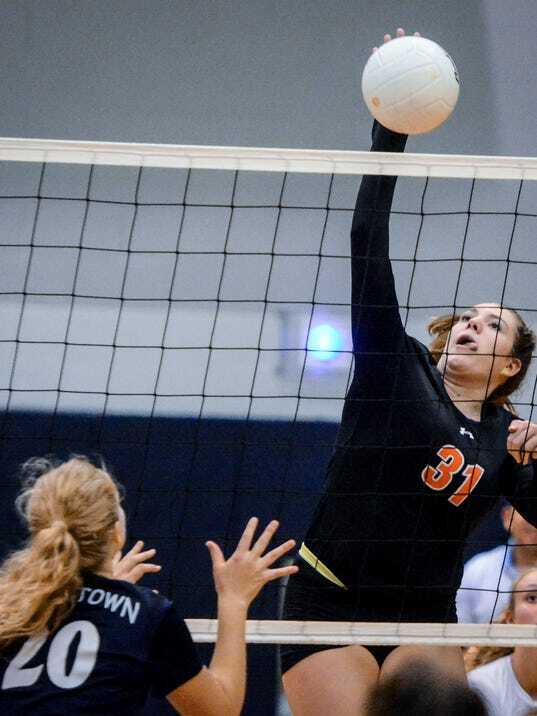 DALLASTOWN — It’s become clear that it takes a little while for the Central York girls’ volleyball team to get going this season. After dropping the first two game against Spring Grove last month, the Panthers rallied back to win the final three to upset the then-first-place Rockets. History repeated itself Thursday, Oct. 5, when Central traveled to take on York-Adams League Division I rival Dallastown. The visitors fell behind 0-2 in the match before they finally got going.